Overwatch‘s Halloween event kicks off today and adds lots of spooky skins, emotes, cosmetics, and play modes. A few of the themed skins leaked a couple days ago, but the rest were revealed in the event trailer at the bottom of the page. 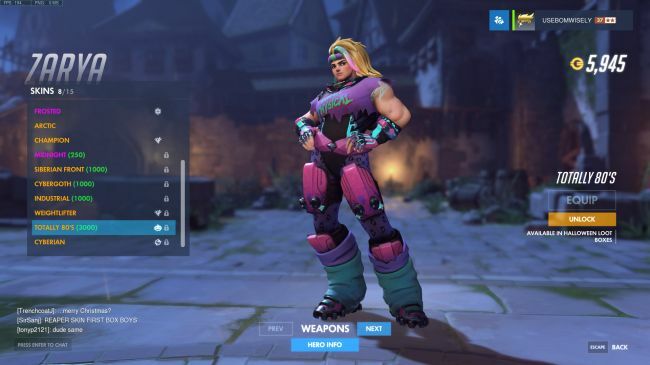 Last year’s skins are back for Halloween Terror 2017 in Overwatch, and Blizzard has added a few fresh new ones. There are eight new legendary skins, shown above (thanks, PC Gamer), for Ana, McCree, Zarya, Torbjorn, Zenyatta, Reaper, Symmetra, and Mei. 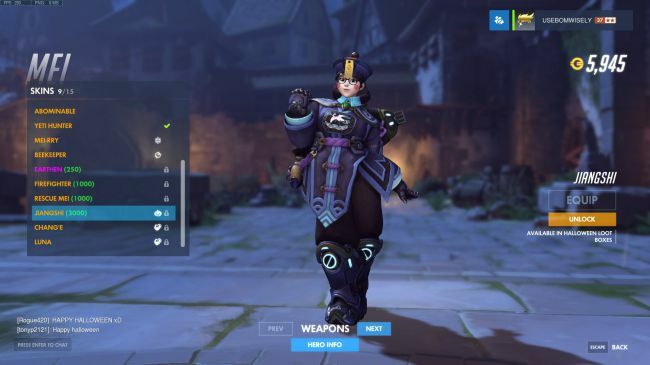 The skins from last year are available for purchase at regular, non-event prices. New skins, like Symmetra’s Dragon skin, remain at typical 3x event prices — 3000 credits for a new legendary skin. Players will also get another chance to tackle Junkenstein’s Revenge, Overwatch’s PvE mode. 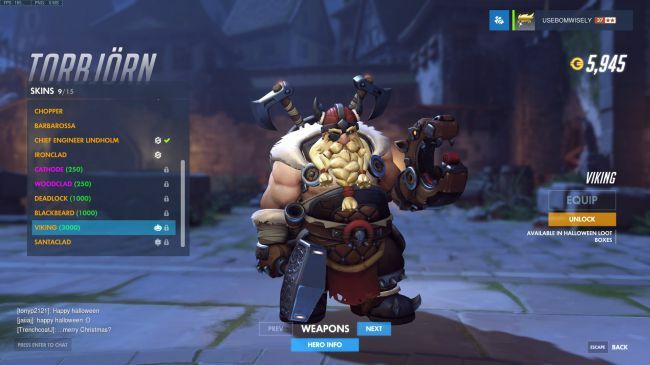 The new Junkenstein Endless brawl will feature a different cast of heroes in an endless horde battle. You’ll receive a loot box for playing and completing every 12 waves, so go nuts. In this mode, you can play as Ana, Genji, Hanzo, McCree, Soldier: 76, Torbjorn, Widowmaker, or Zenyatta in a team of four. 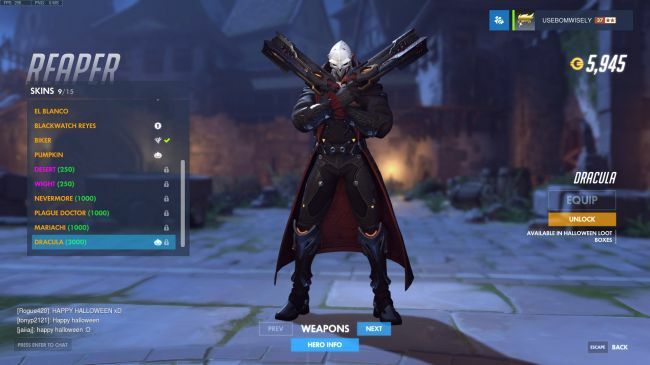 There are 50 new cosmetics for this event, on top of last year’s items once again being available in the Halloween Terror loot boxes. 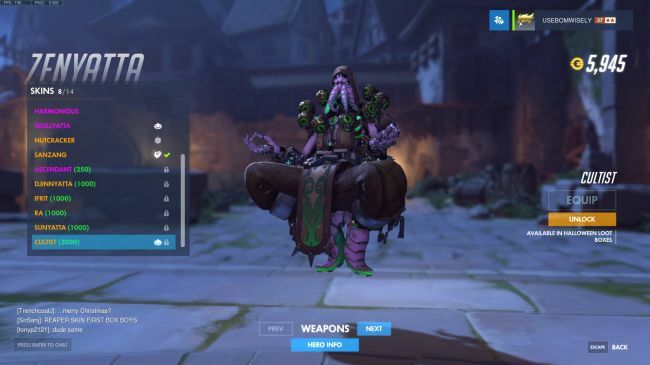 Collect all the poses, voice lines, emotes, sprays, and more, which are all up for grabs in the new loot boxes. Blizzard has also added haunted versions of the game’s Eichenwalde and Hollywood maps for even more spooky vibes. For more information on the update that comes with the Halloween event, check out the full patch notes. Overwatch Halloween Terror 2017 runs from October 10th through November 1st on PS4, Xbox One, and Windows PC.